The sled hill and ice rink are located in Century Park. Both are open daily, weather and conditions permitting. Signs stating the open or closed status will be posted onsite. Use of the sled hill and/or ice rink are at your own risk. The “Skate & Sled” icon on the home page will be updated daily during the winter months. 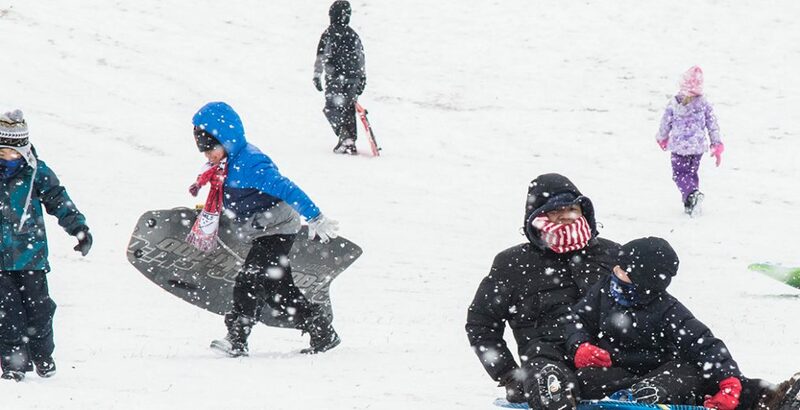 Alternatively, you may call the Weather Hotline at 847-996-6616 for updates to the ice rinks and sled hill. Monday – Sunday: 7:30 am – 9:00 pm. *Lights around the rink and hill automatically turn off at 9:00 pm. *Only available if either the ice rink and/or sled hill are open. A limited supply of loaner ice skates are available on weekends from 1:00 pm – 9:00 pm when the ice rink is open. They will be given out on a first-come, first-served basis. Hot drinks and candy are also available for purchase. For more information, please contact customer service staff at the Sullivan Community Center or Lakeview Fitness.